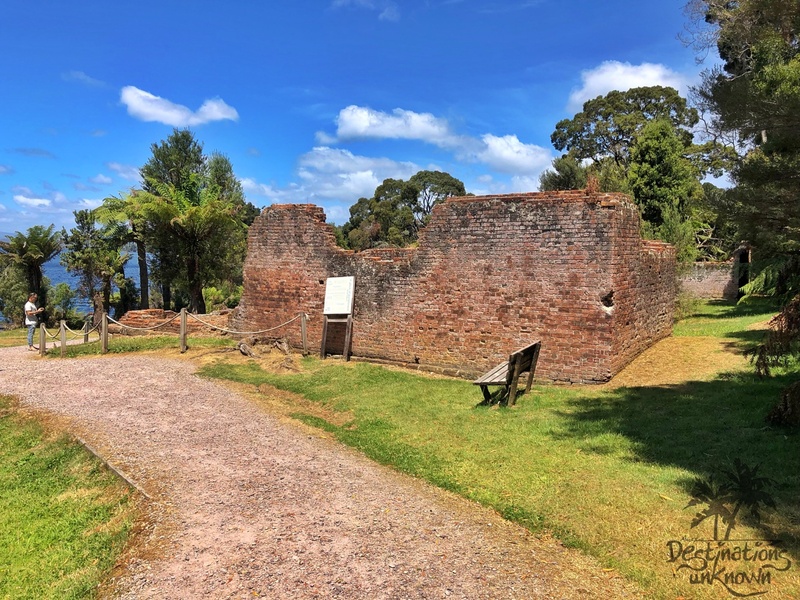 An isolated penal settlement established in 1821 known today as Sarah Island was a huge hi light of the Gordon River Cruise for us. In fact, when making up our mind as to the cruise being worth both our time (which we were running out of rapidly!) and our money, this was the decider. 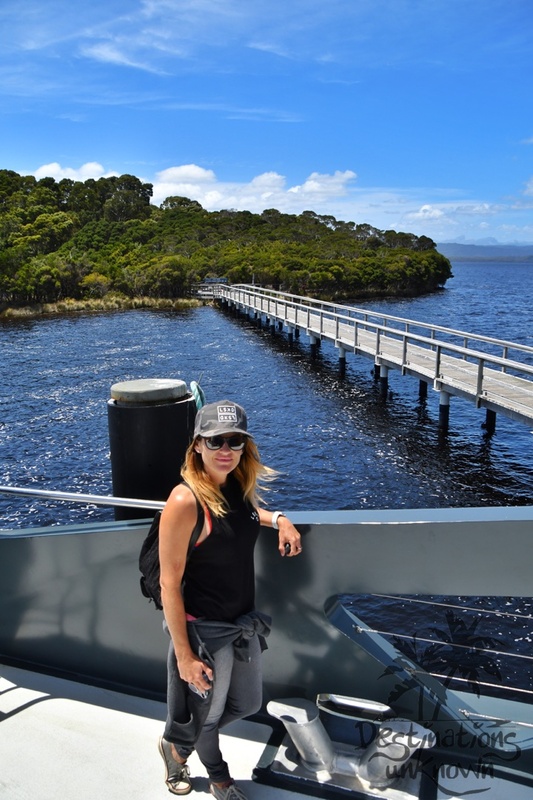 You’ll find this little island in the remote reaches of the Macquarie Harbour and if you choose to cruise (😆)- you’ll be able to hop off the boat and explore the island for about an hour like we did. The cruise itself seems to be suitable for most people, although we found the younger kids from other families were quite bored, some were seasick and others just didn’t like being restricted for so long. 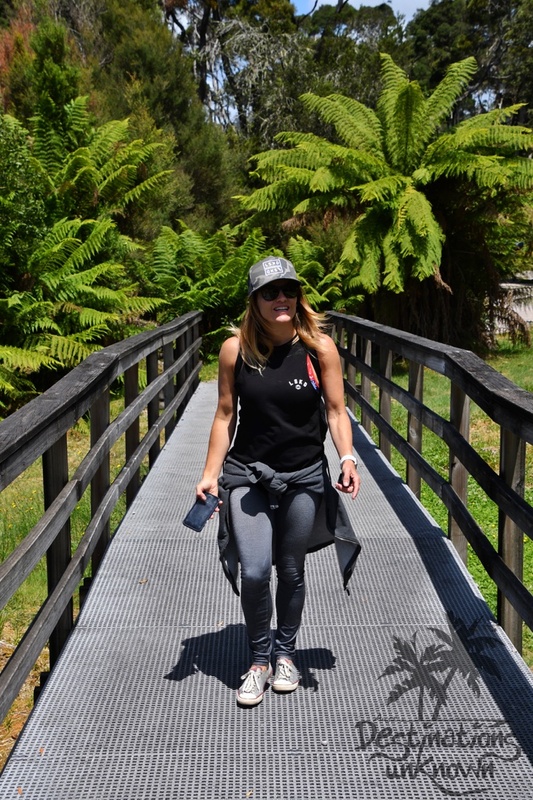 There was also a lady with a walking frame who managed quite well, even with the walks on Sarah Island and through the rain forest. 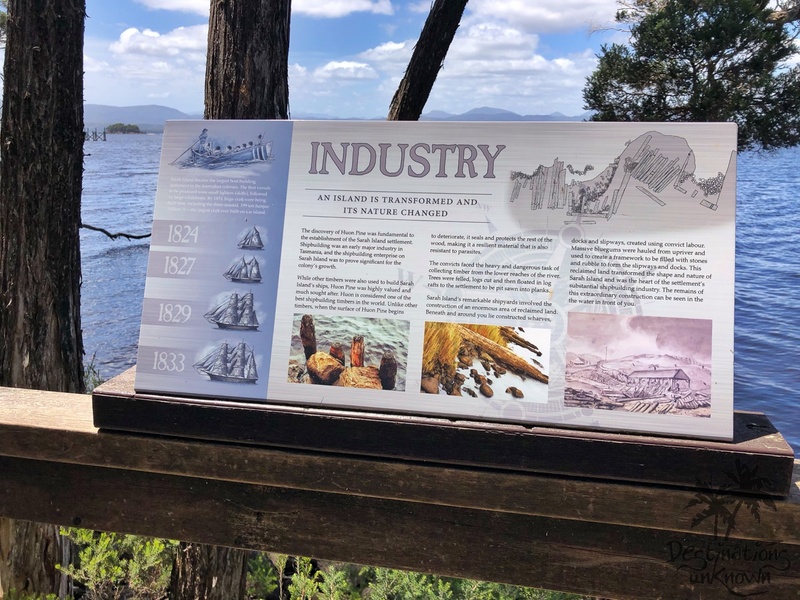 Upon seeing how beautiful Macquarie Harbour is, and Sarah Island in particular, it’s hard to imagine that back in the 1820s, this was the scene of unimaginable torture and despair. 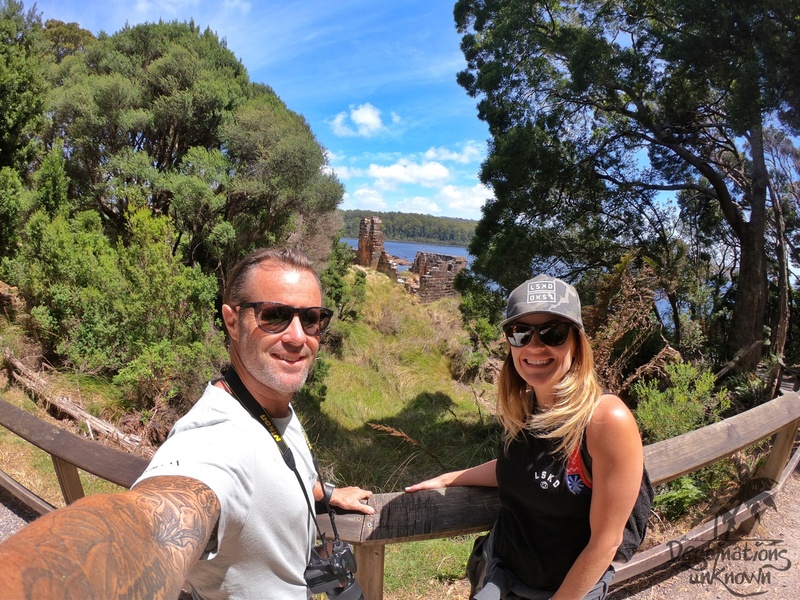 After disembarking from our vessel, we were given the choice of a guided tour or to explore the island ourselves … we chose the tour and it was fascinating! We were led along the walking tracks around the island that link each site by a member of The Round Earth Theatre Company. 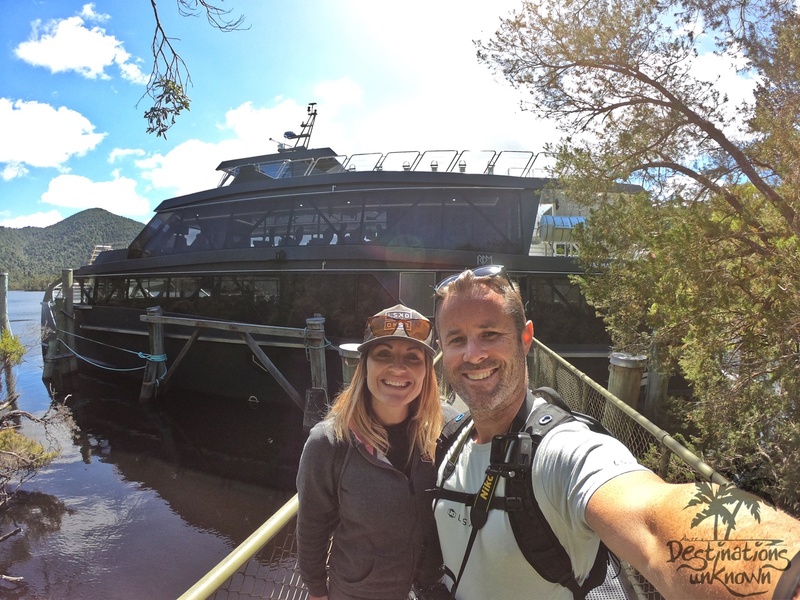 These guys put on a nightly play in Strahan ‘The Ship That Never Was’ which kind of takes up where this tour ends, and it’s the longest-running play in Australia! Needless to say, our guide was pretty good at keeping our attention. There were 7 puzzles which he shared enthusiastically and left us pondering as he led us around the tiny island. When at the last stop and all the puzzle pieces fell into place, there was many a ‘aha’ moment as people were calling out the answers. 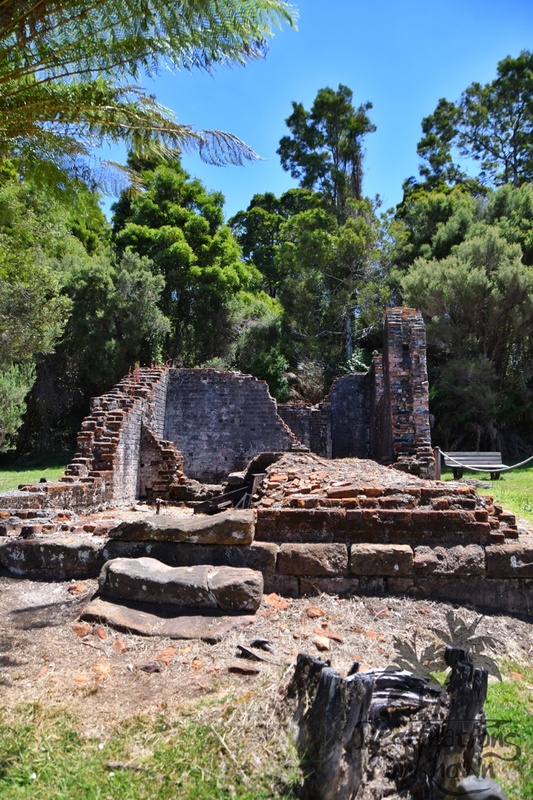 At the beginning of 1822, the Macquarie Harbour Penal Station was established, with Sarah Island as its base. 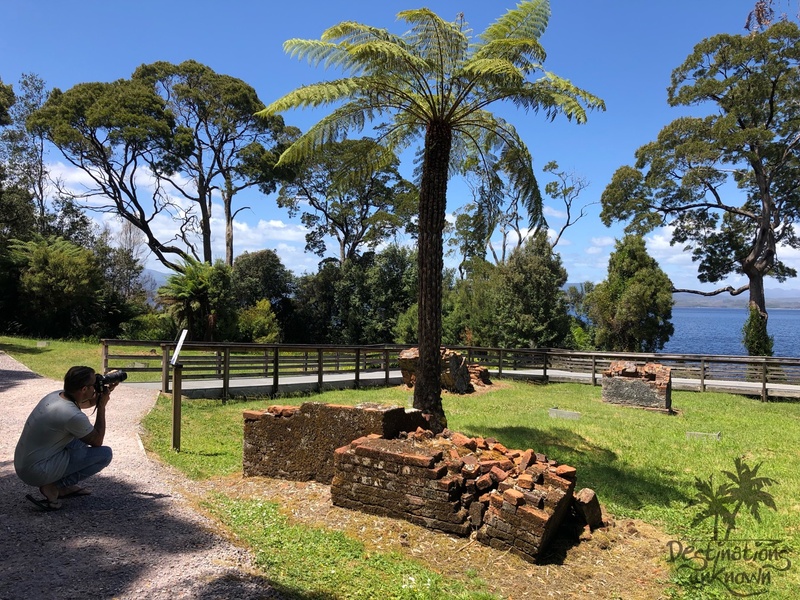 This island was intended to strike fear into the hearts of convicts and was where they worked usually in chains, under terrible conditions in the rainforest, felling huge Huon pines for boat building. 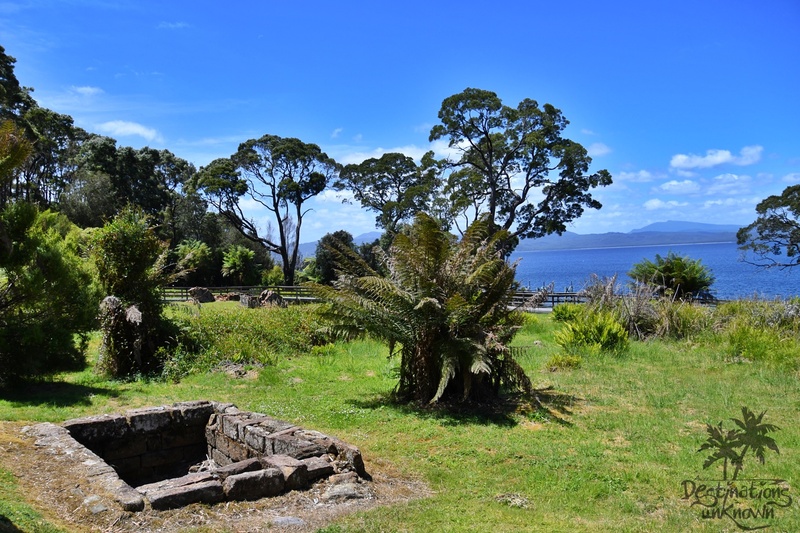 James Kelly named Sarah Island after Sarah Birch, the wife of the merchant who had paid for the voyage. Which voyage? 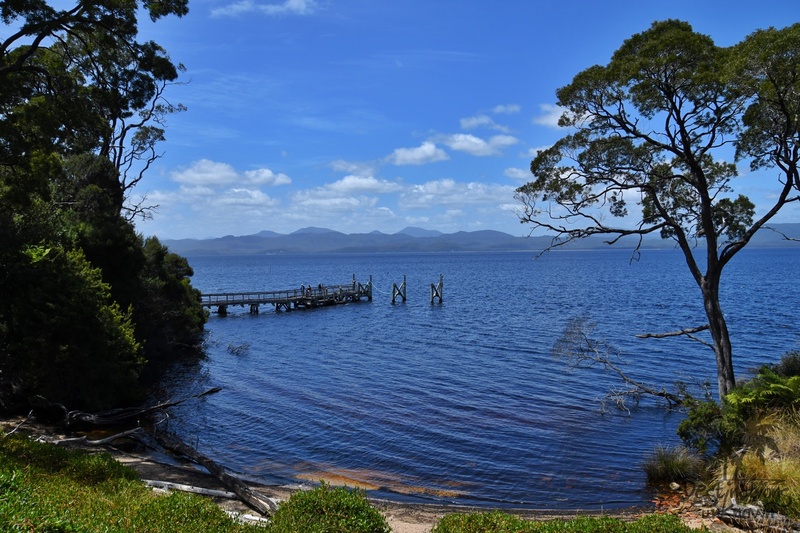 The one in about 1815 where he sailed through Hell’s Gates and became the first European to visit Macquarie Harbour. 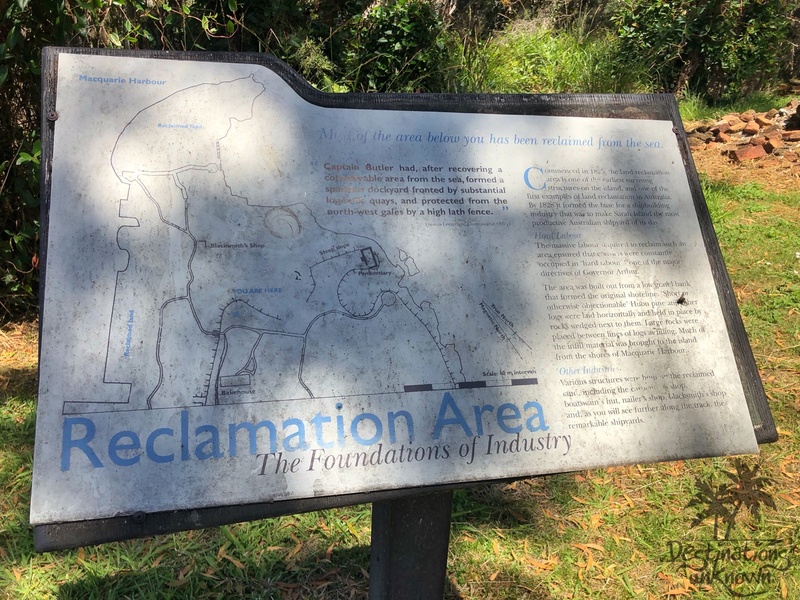 The island had a few other names as well such as Devils Island, and … um … a few other names that I can’t remember as there was so much information to take in! 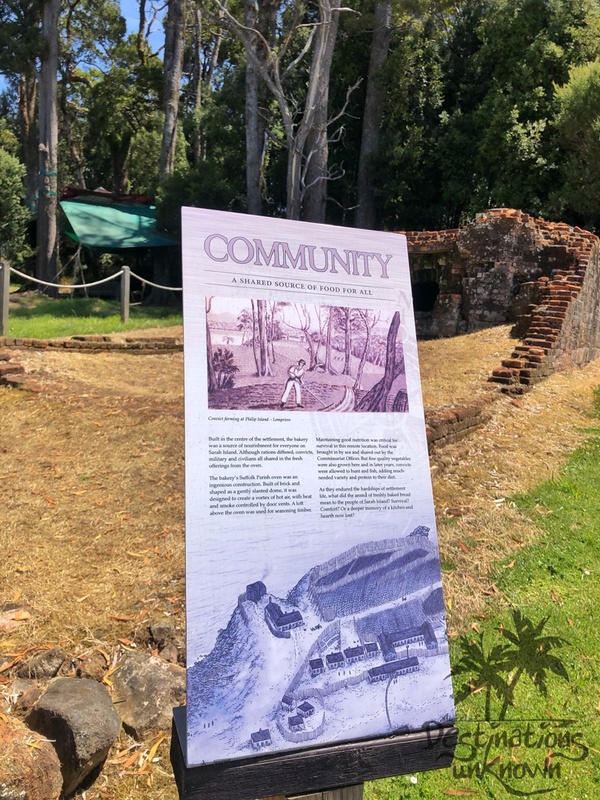 This place was a banishment settlement for the worst criminals sent directly from the transport ships in Hobart, those who’d escaped and been recaptured or had committed further crimes while serving a sentence. 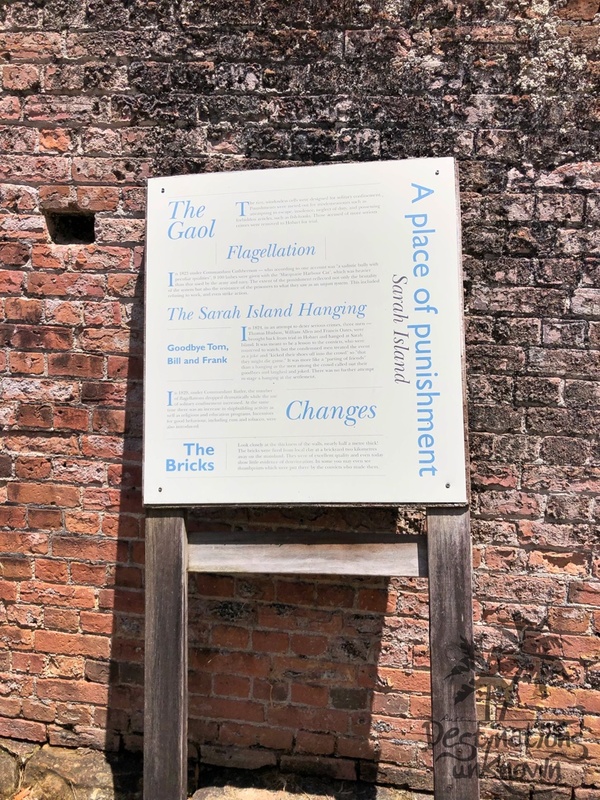 Here there was a constant lack of food, not enough space even for these inmates to sleep lying on their backs and as a result constant illness and despair was felt by these 500 men. 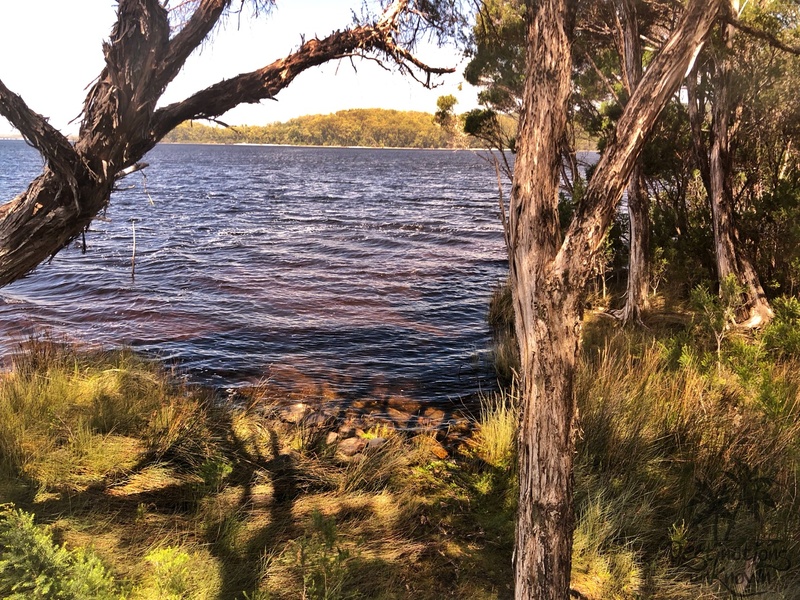 They were funneled from all over the Australian colony to this harsh, windswept and barren island. So harsh that execution was considered a mercy and ‘liberty or death’ was a common cry. 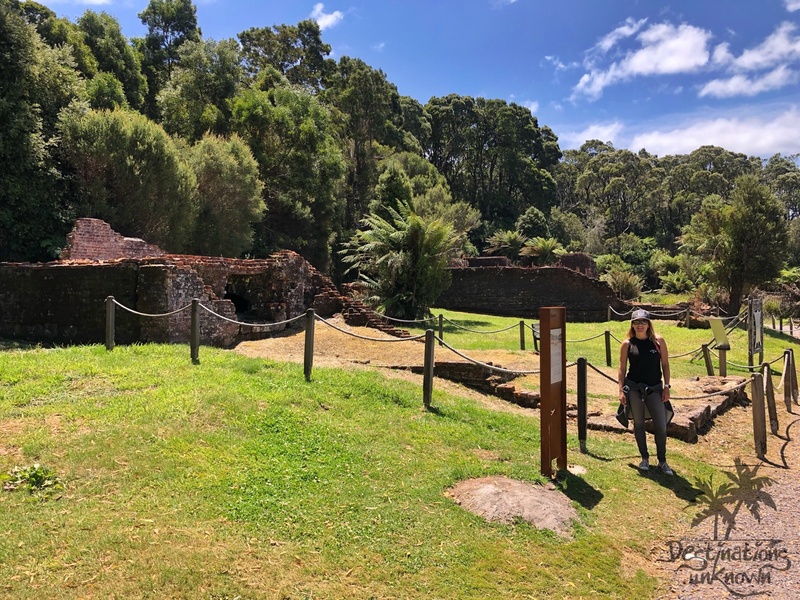 This was a place filled with blood, brutality, and even cannibalism. 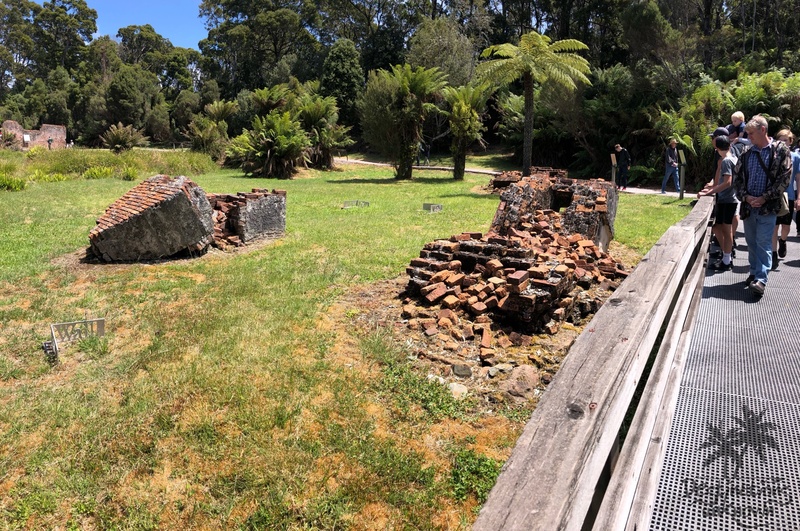 Sarah Island was also the most secure of the penal settlements as any convict who tried to escape not only had to get across the harbour but also had to slash their way through the dense rainforests of the west coast. 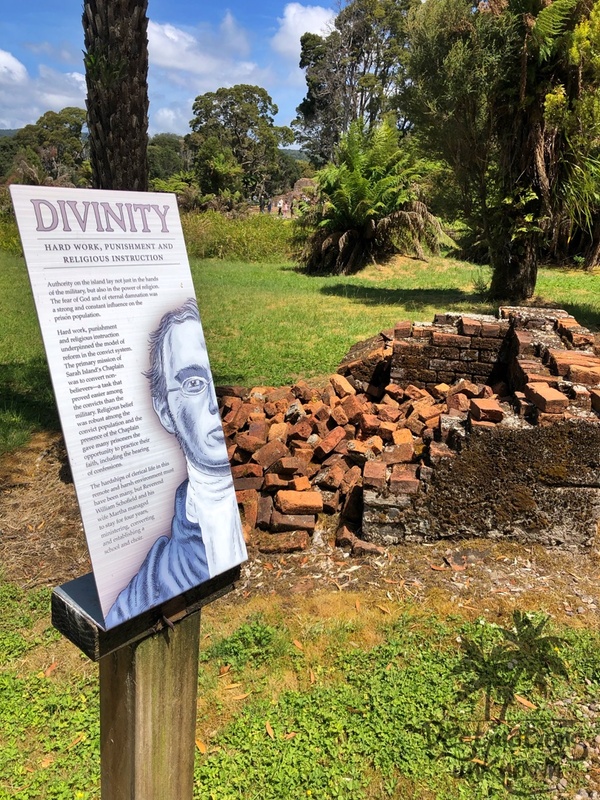 There were many escapes (about 160, although very few were successful) including one by James Goodwin who escaped (in a very clever way) and because he knew so much about the uncharted wilderness was promptly employed in the surveyors department! Alexander Pearce was a prisoner who escaped not once, but twice. His story is fascinating and gruesome. 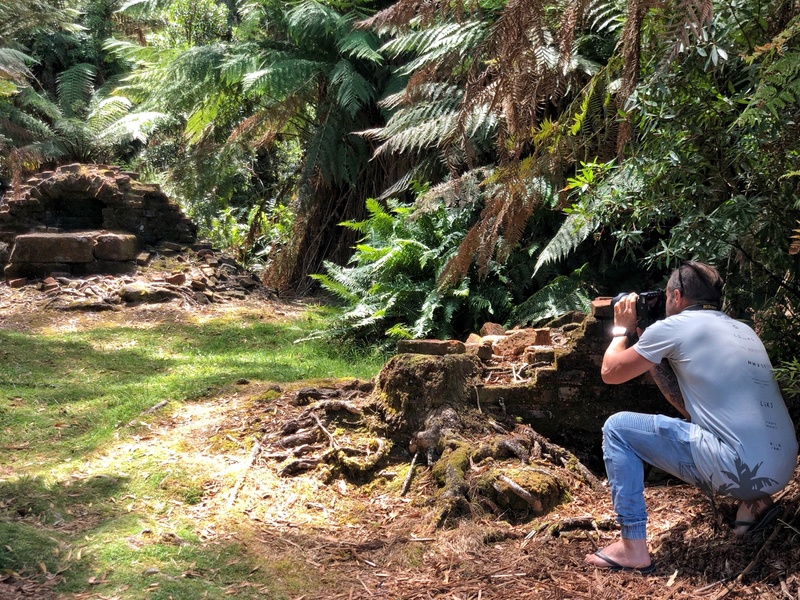 You may have heard of cannibalism on the island – well… this is your man (one of). He escaped along with 11 others who due to extreme hunger drew lots and killed the loser who then became food for the others. This continued until Pearce was the last man standing. He was found with human flesh in his pocket and was tried for murder in Hobart. 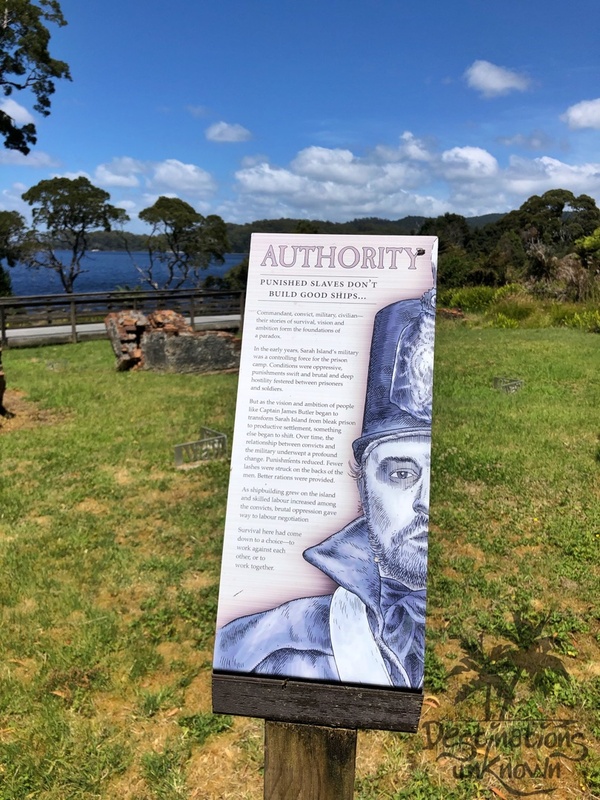 At about this time Matthew Brady (now infamous although many (including me) had no idea he was held at Sarah Island) stole a boat and sailed to the Derwent River. Brady was convicted for stealing a basket and some butter, bacon, sugar and rice. During the time he was held he received over 350 lashes for attempts to escape and other crimes. 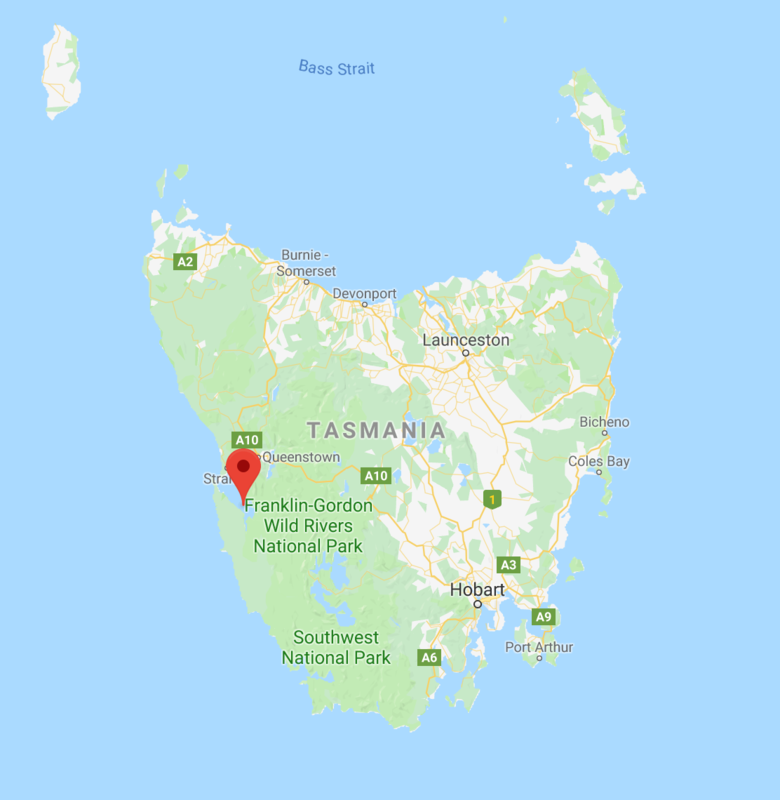 He eventually managed to escape with a small group of men, and they spent 2 years roaming Tasmania as a bushrangers. He was known as a bit of a gentleman as he always had lovely manners while robbing his victims and some people even helped him out. There are many stories verifying the fact that he only resorted to violence only in self-defence. Eventually in 1826 he, along with others, was charged with stealing a musket and bayonet, stealing horses, setting fire to a property and murder. He was hanged on May 4, 1826. 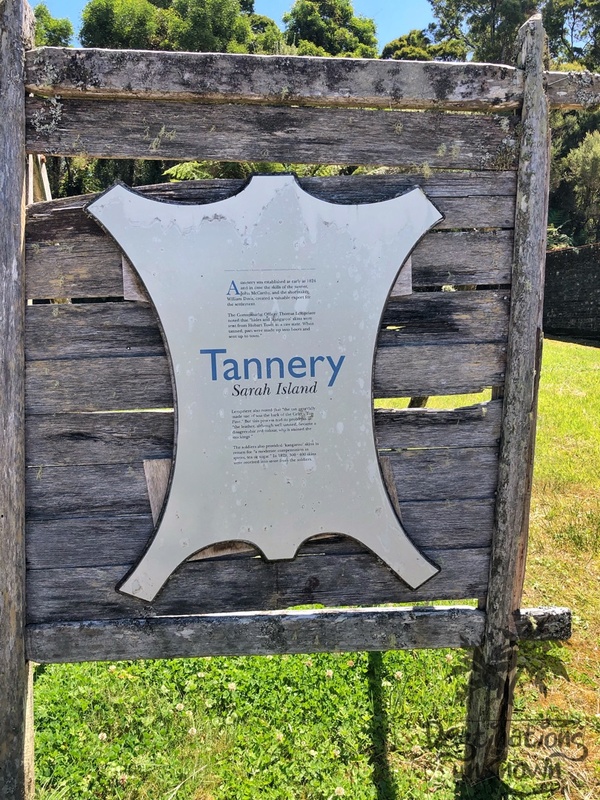 There is a beautiful lookout ‘Brady’s Lookout’ on the West Tamar Highway, Rosevears, that offers sweeping views over the Tamar River and surrounding areas. with over 130 workboats being built and launched sideways on a slipway. 250 tonne was the largest of the big boats that was launched stern first down a slipway on rollers. You can still see the large planks of wood under the water near the shore if you have a good pair of polarized sunnies. I couldn’t see anything until I put Chris’s Oakley’s on! 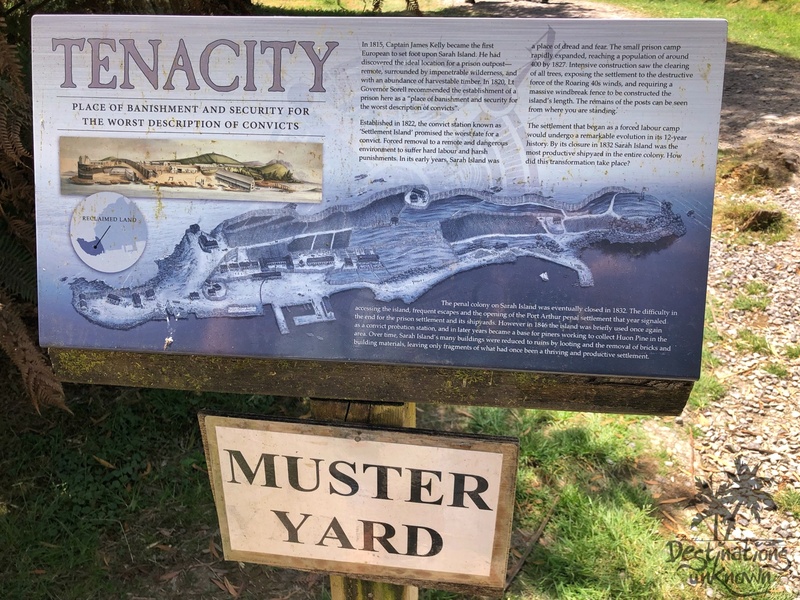 The island was fairly self-sufficient with all of what you’d expect to see in a small town including an open cut quarry where they ground their own wheat. 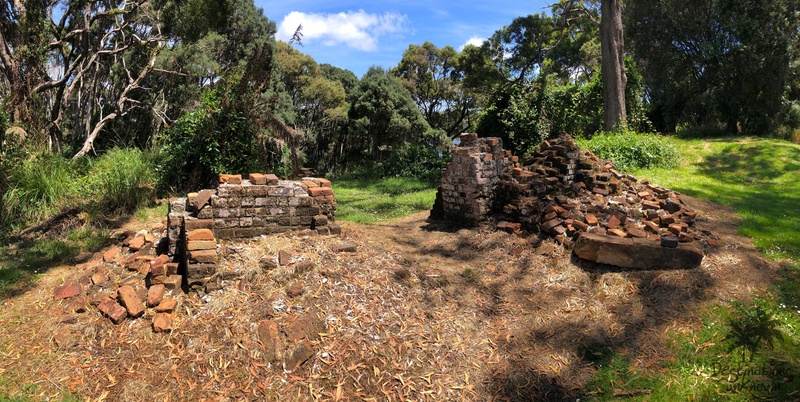 Wandering the well-defined paths past what remains of the penitentiary, bakehouse and solitary cells, you can’t help but imagine how bad it truly was. 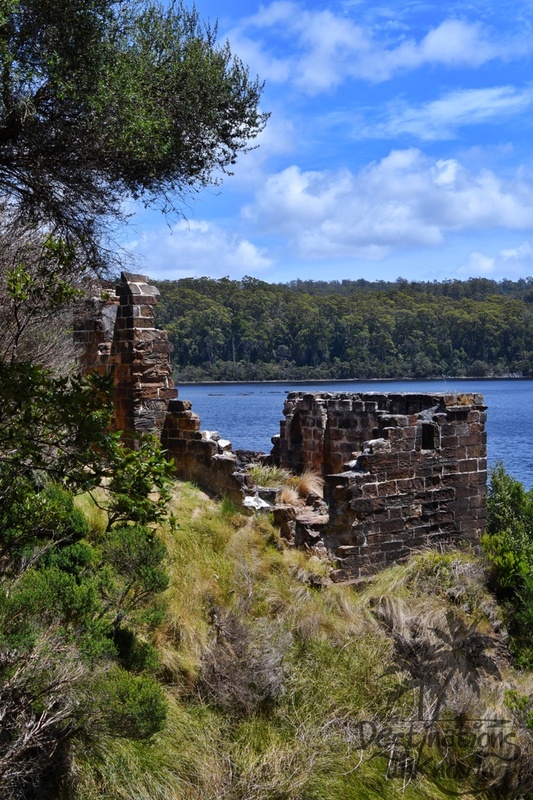 And while not much remains in the way of buildings (don’t expect Port Arthur!) it is still hauntingly beautiful. 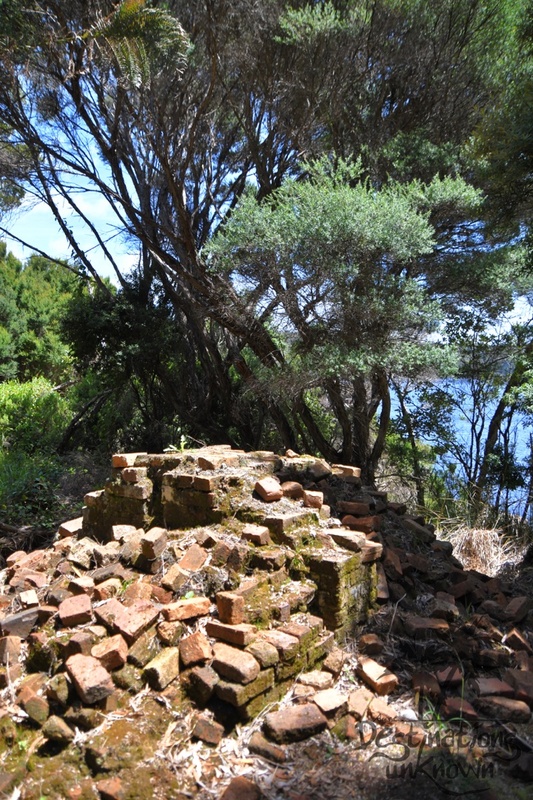 I actually prefer the crumbled bricks and stories of Sarah Island. 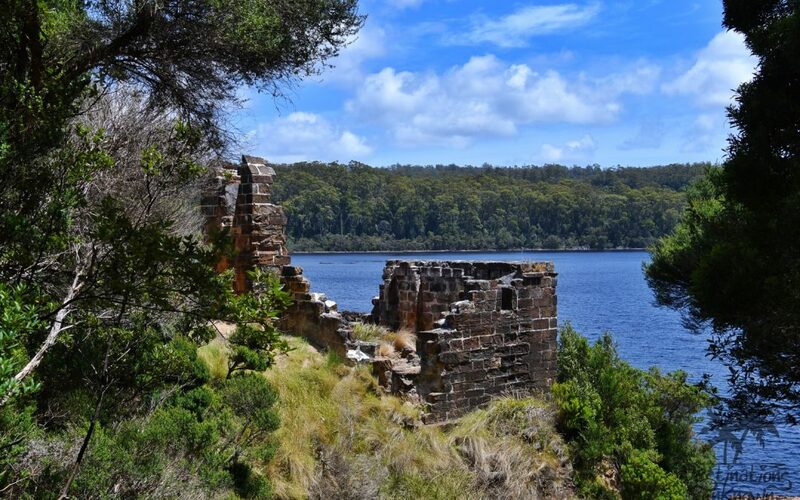 The Sarah Island penal settlement was closed in 1833 after the establishment of the penitentiary at Port Arthur. 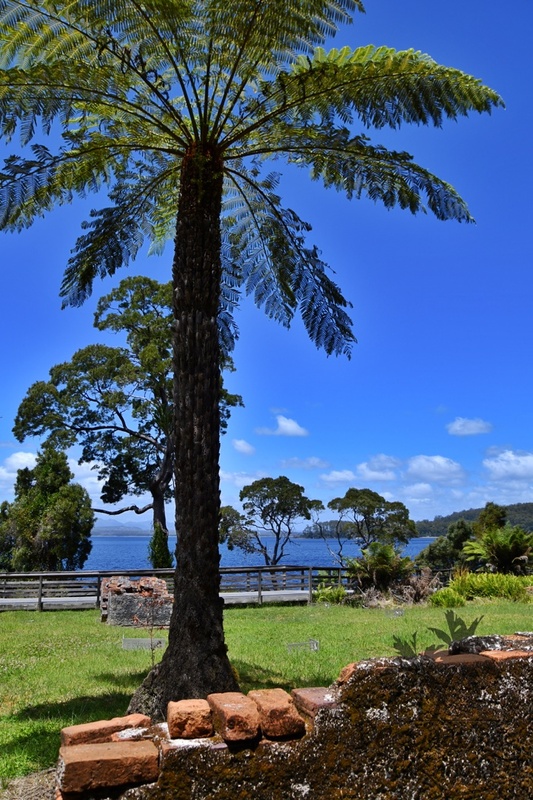 If you tour the island as part of the Gordon River Cruise, you will have an hour to explore. We couldn’t believe how quickly the time flew by! And yes, we could easily have spent more time there. 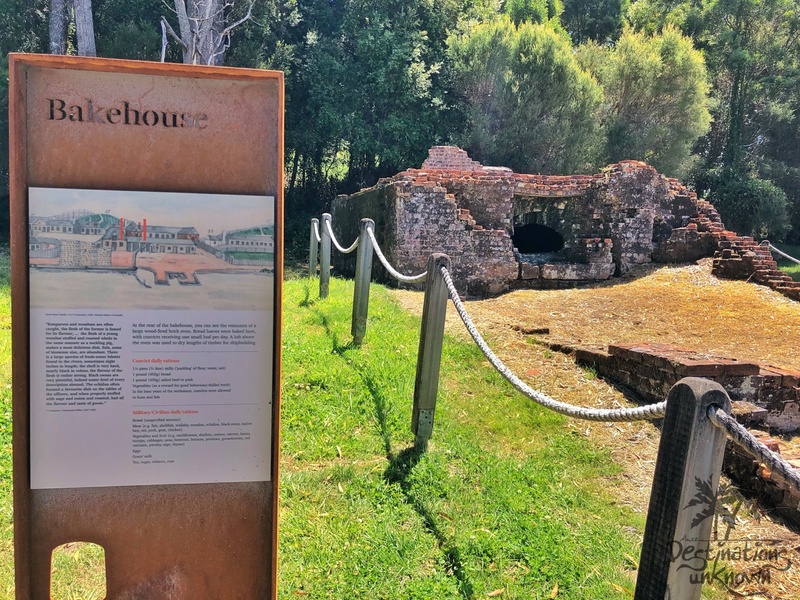 This is one place you MUST see as it gives a chilling insight into the horrors of convict life and is especially unnerving given how incredibly beautiful the surrounding wilderness is. Excellent post about the island Miriam. You give a great overview with just enough detail to capture the imagination. The videos and photos complement the text beautifully. I would love to go back 😊.